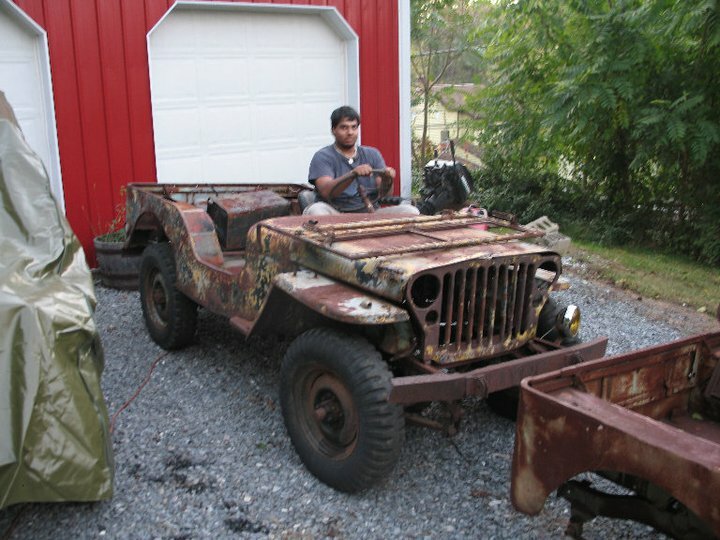 Sad Jeep had a wide array of issues. From concrete floors to this rather interesting set of guages in the dash. Anyone recognise them? 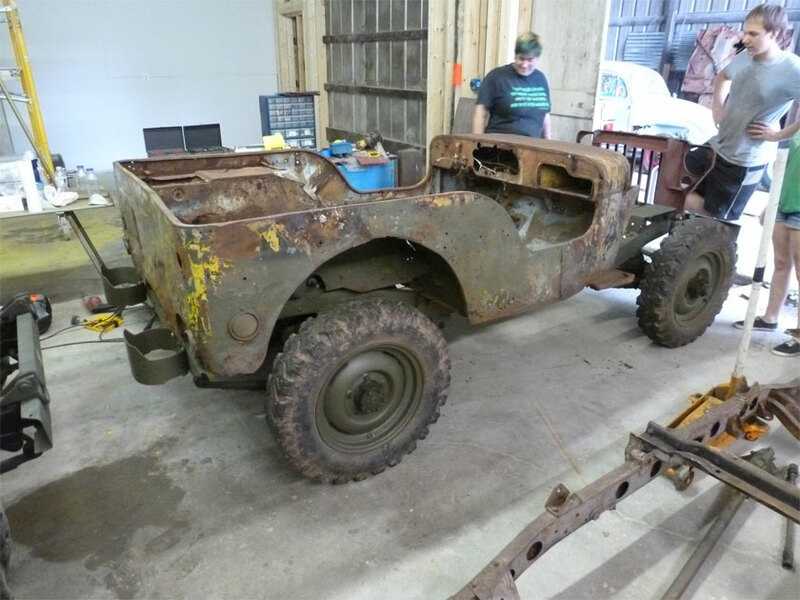 Sad Jeep had some interesting repairs including front frame horns from a Model A Ford. Well, I guess this was fitting as the Jeep was a Ford GPW. So we set about making Sad Jeep into a display Jeep. Here is Vlad taking out his frustrations on the concrete floors. 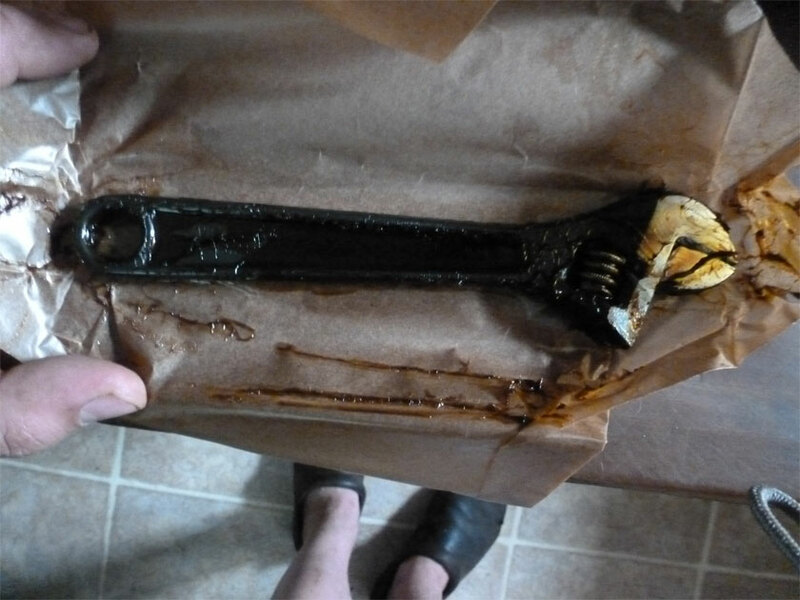 It became obvious that the original frame was beyond any quick salvage so we put together another frame and axles from stock. 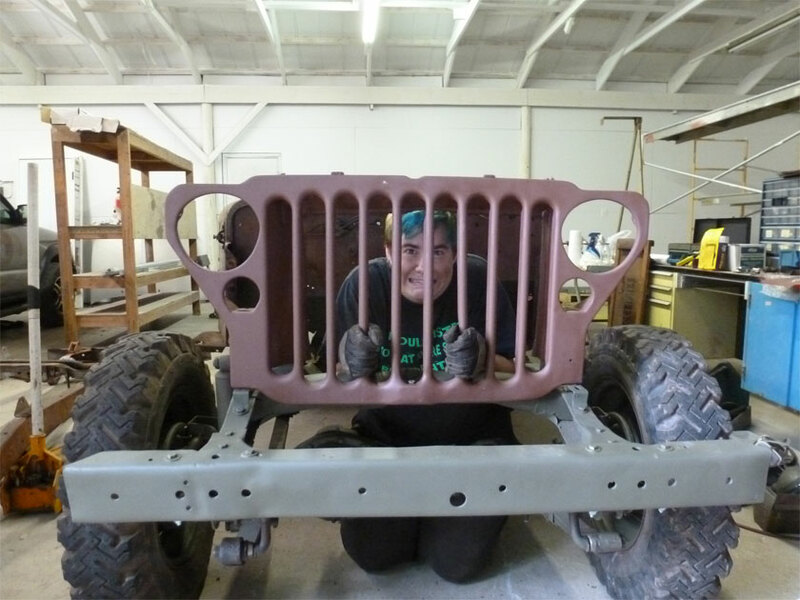 Then we stablised the underside of Sad Jeep’s tub and installed it on the new frame. Now we had to put things together and make Sad Jeep presentable. This involved MANY hours of stripping, sanding, priming and painting. 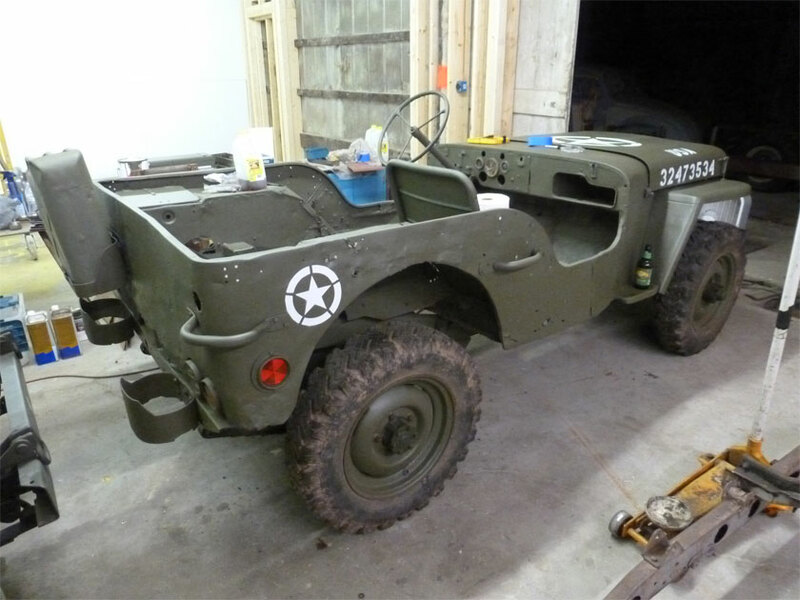 As Sad Jeep was only for display I opted to use fiberglass for some body repairs. I never do this on Jeeps that go on the road. Soon stencils and more details were added. 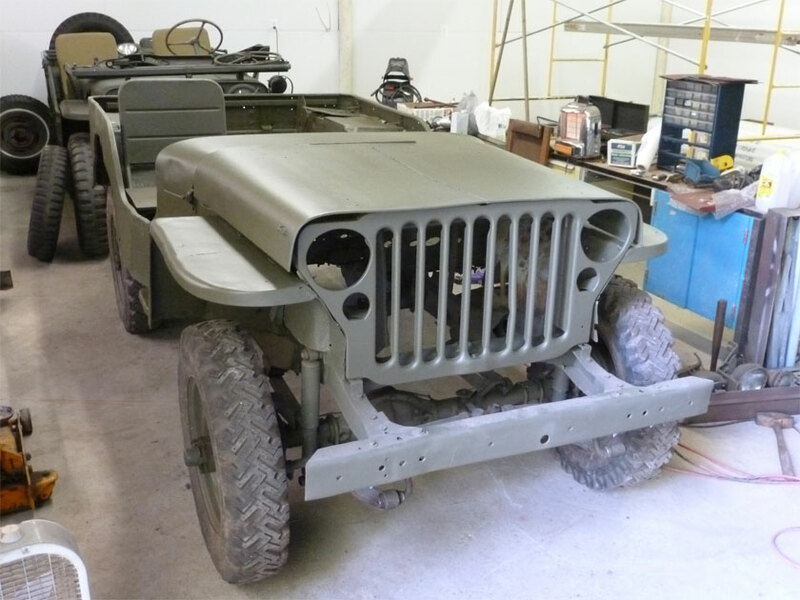 And finally after some finishing touches (including a glovebox door with an original set of Ford GPW dataplates) Sad Jeep was ready to head off to his new home. 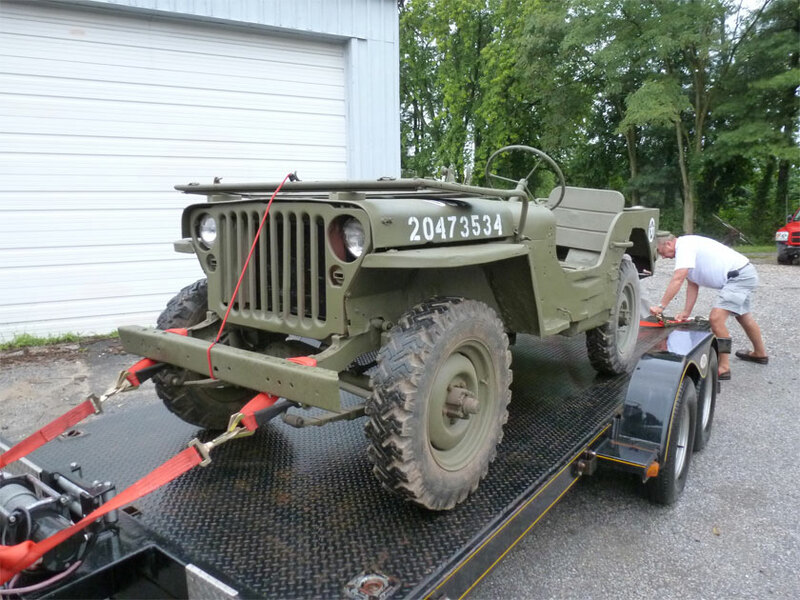 I hope Sad Jeep enjoys being at rest in a museum, rather than being thrown away for scrap. We hope to visit him soon in his new home. In the 1960s (before he bought his 1956 Porsche) my father rode a Bultaco Metralla everywhere. 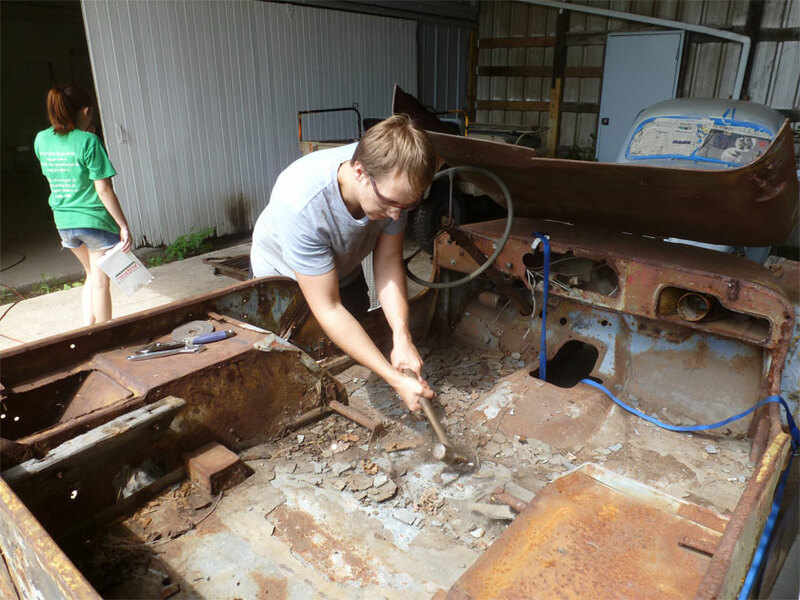 I have his Porshe 356 and you can see restoration photos on my website. 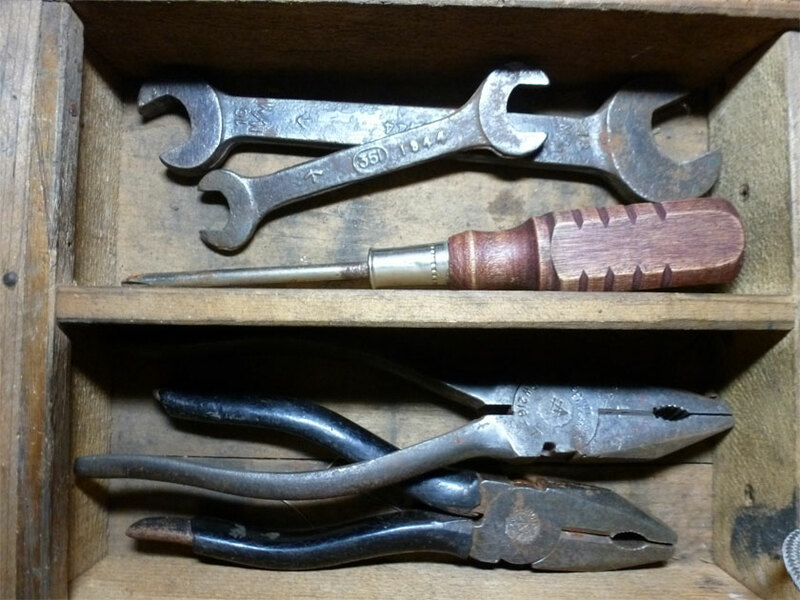 I also have his Hercules bicycle from 1956 hanging in the workshop. What was missing? 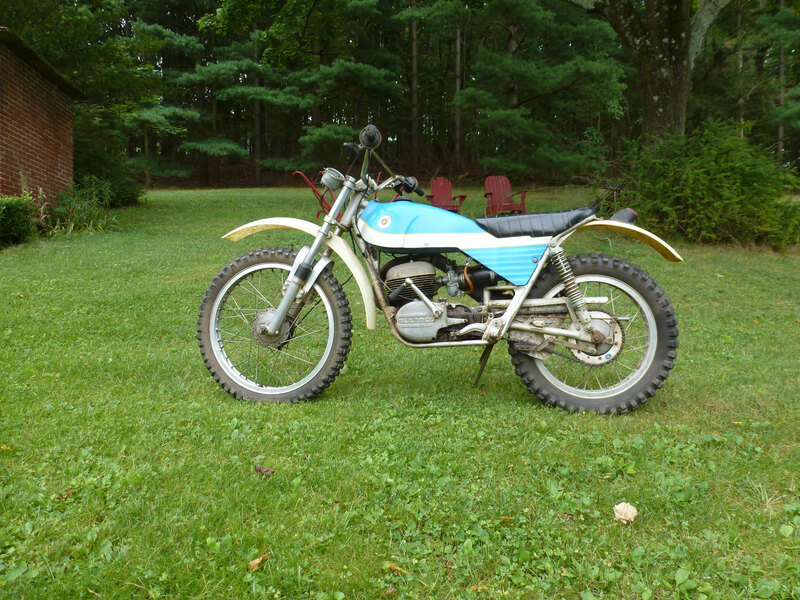 A Bultaco motorcycle. From what research I have been able to do I believe the following summary of Bultaco history is correct. don Francisco Xavier Bulto started his company in 1958 when the motorcycle company he had founded in 1944 decided to pull out of racing. Bultaco was a Spanish company and their first model, the Tralla, came out in 1959. The thumbs up sign on the Bultaco emblem was inspired by British motorcycle racers giving the “thumbs up” that all was well when they passed the pits. 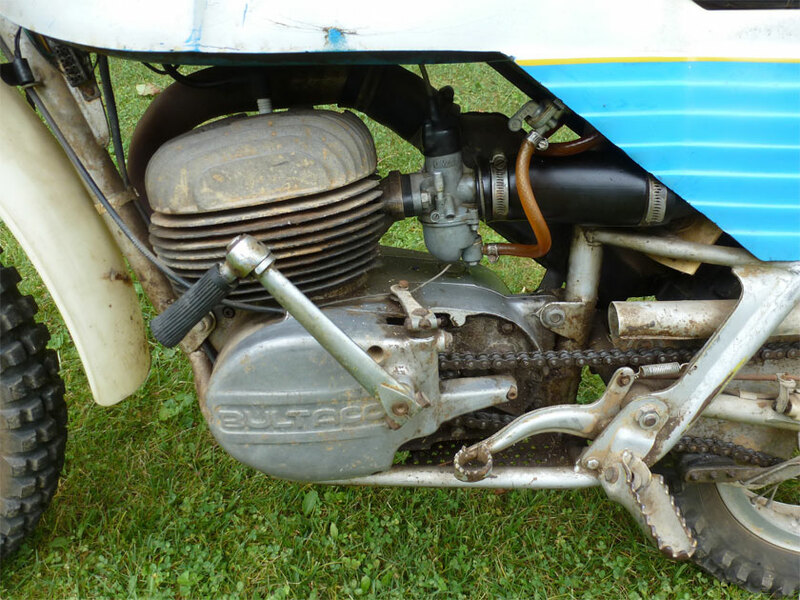 Bultaco became known for their off-road motorcycles. They did produce a couple road models, the Metralla and the Mercurio. I believe my father had the Metralla. A small, two stroke motorcycle, my father rode his Metralla all over the place. This included a jaunt from Troy New York to Washington DC because apparently there was a really good party to attend! He had two rear wheel issues on that trip but still made it to the party. The model I have looks like an Alpina. 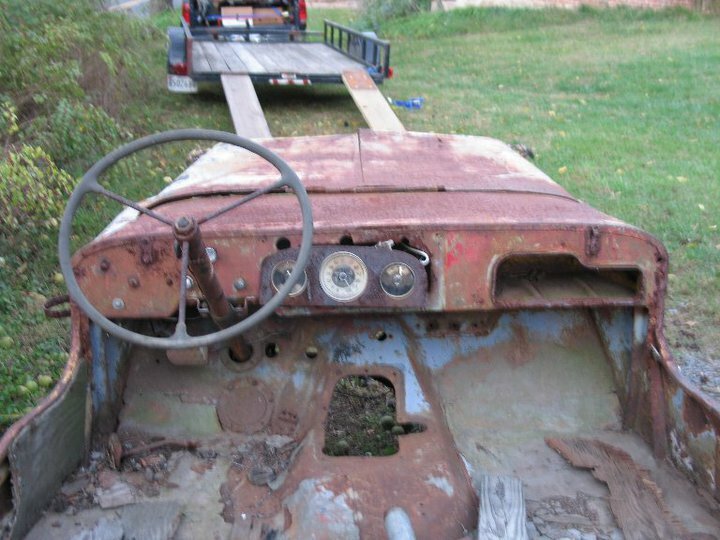 This one is from 1971 and I received it from the second owner in partial trade for some Jeep repair work. It is in very nice shape and I rode it through the fields for the first time today. What fun!!! It needs some TLC and new rubber seals, gaskets and such but runs very nice and is quite comfortable. 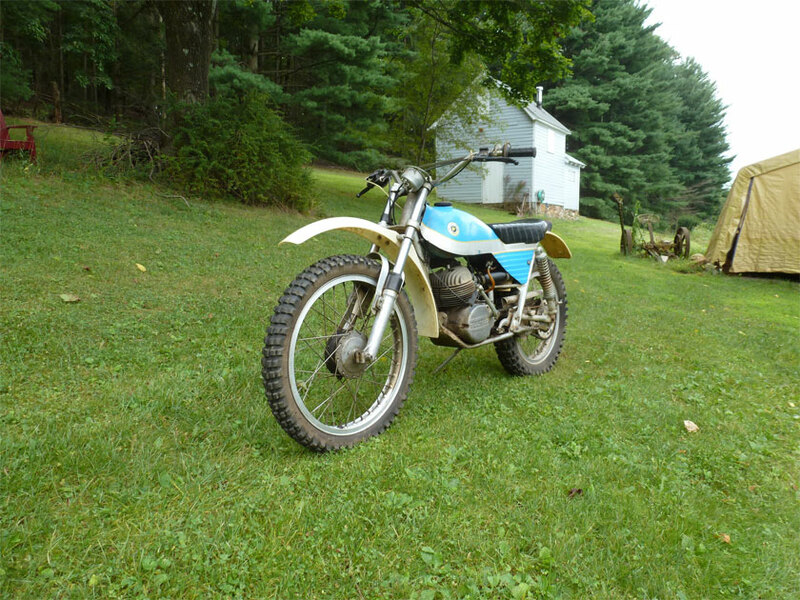 Bultaco produced motorcycles through the early 1980s but began to disappear from the scene in the US by the mid 1970s. Two veteran motorcyclists I spoke with thought the company had closed down by 1976. Bultaco was the victim of Spanish government regulations on what engine they could produce, and US requirements for importation. Bultaco remains a legend and I am very proud to have one in the stable now. I cannot wait for my father to ride it!! 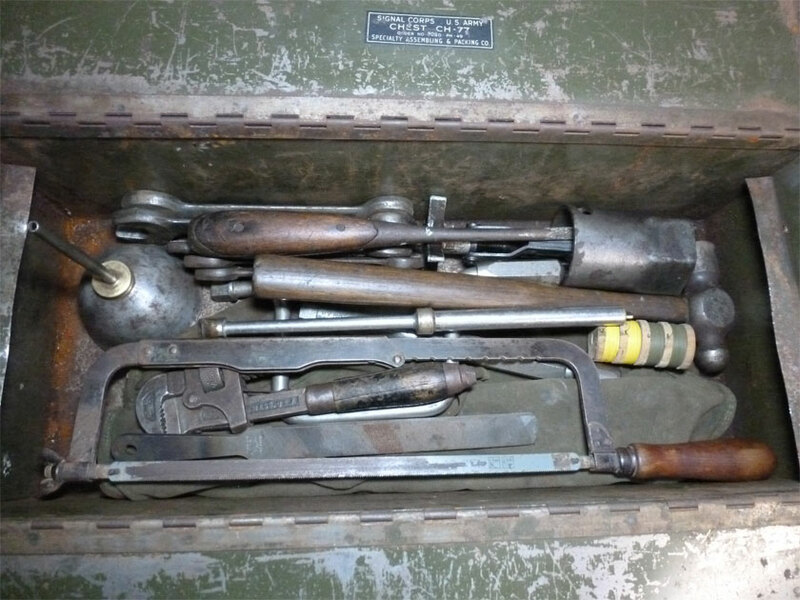 This is not much of a post, but I thought I would share photos of a find for the military tool collection. A Gov. 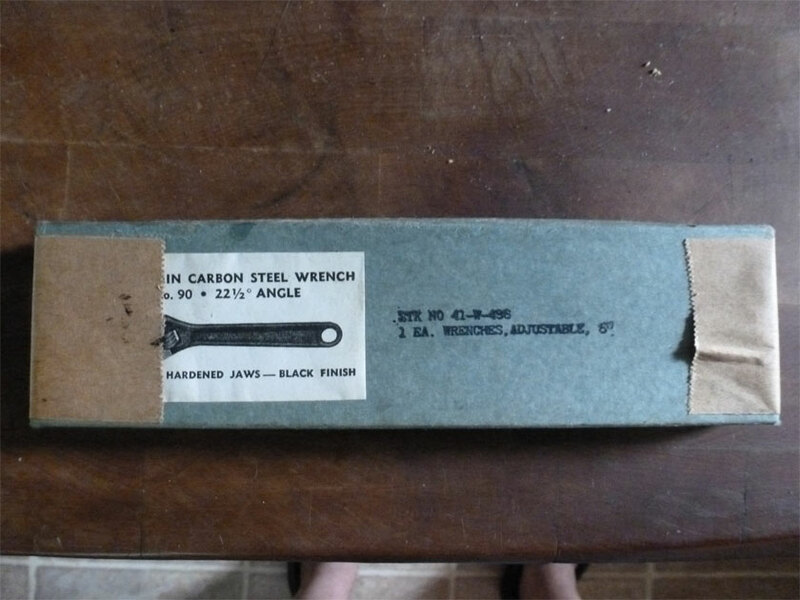 Stock # 41-W-486 wrench brand new in the box and cosmoline. 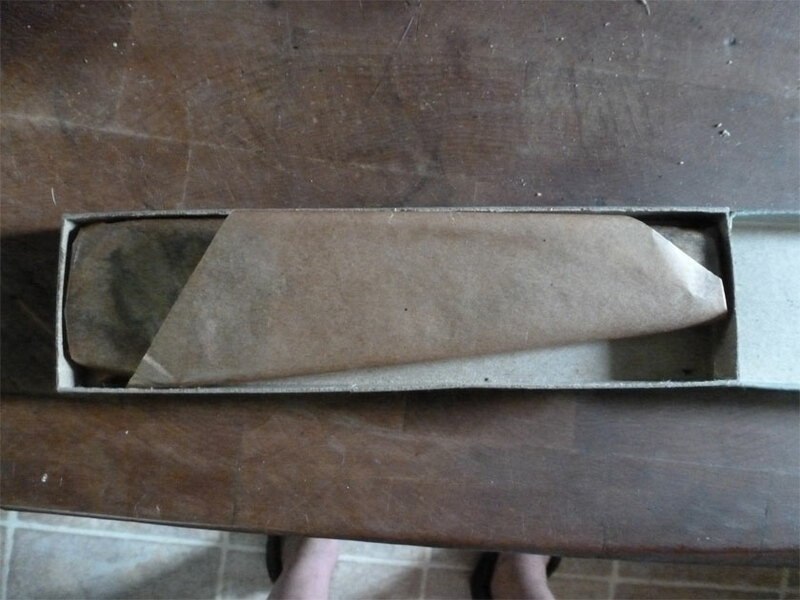 It was so cool to open something that was put away and never unpacked. 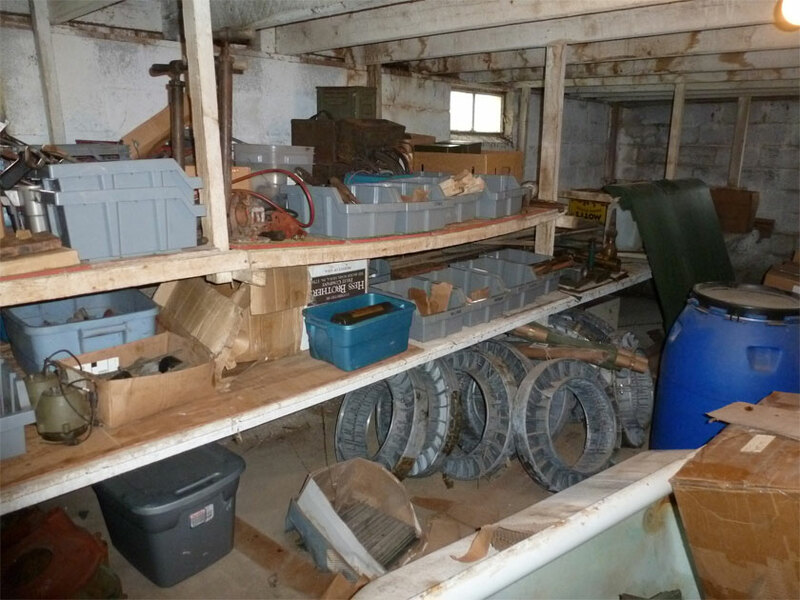 The fun part of dealing with John Barton’s collection is sorting through all the tools and goodies. Of course the less fun part was moving it all. 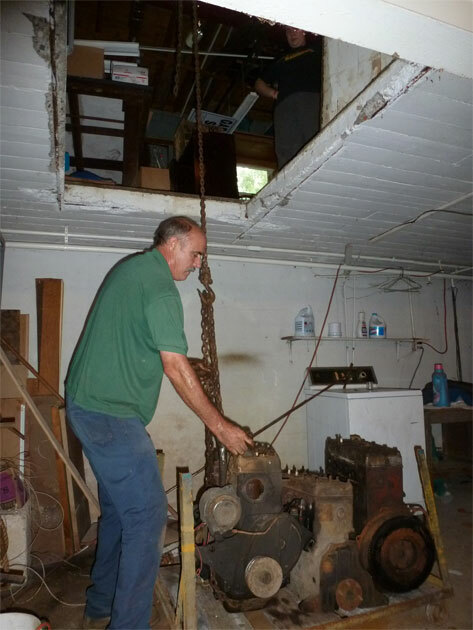 John lived in a vintage autoshop that had a two story house above it. 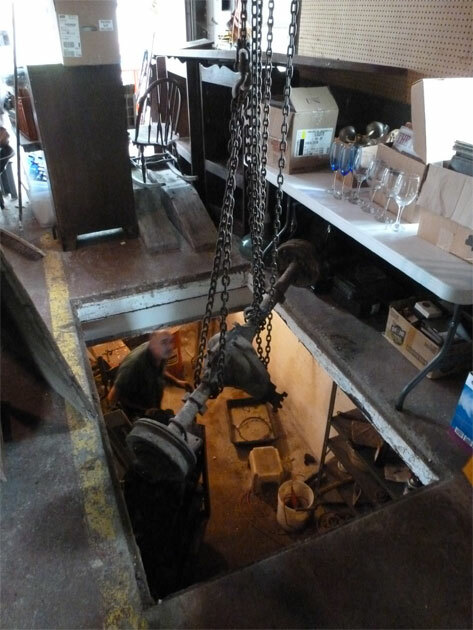 There was a trap door into a basement which I believe originally was a machine shop space and such. All the engines, axles, and other heavy items were down there. Thank goodness he had this installed above the trapdoor in the garage. 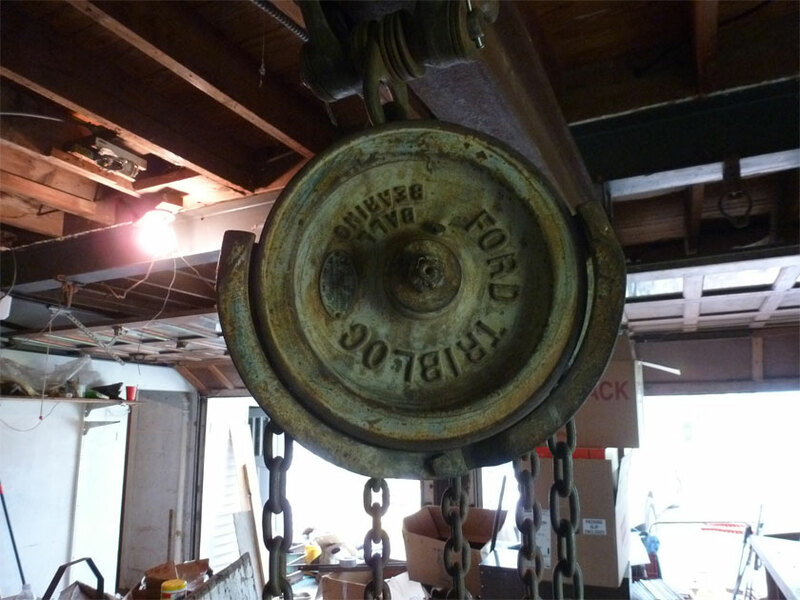 This vintage Ford chain hoist made all the work we did possible in a matter of hours. It slide back and forth on an I beam. Below is Pete hooking up an engine for lifting. The process was slow, but saved our backs. 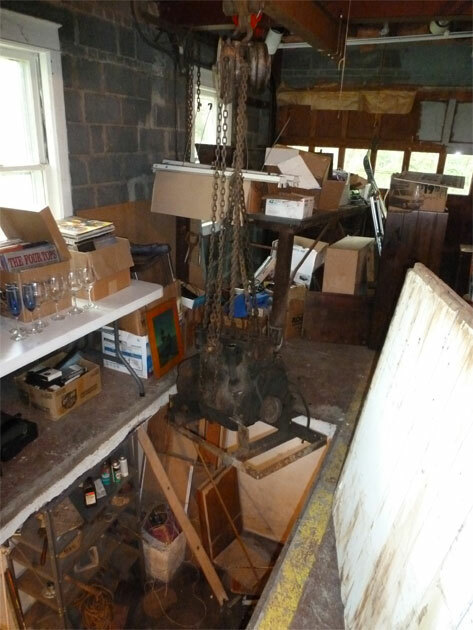 Without the hoist we would never have been able to empty the place. We managed to remove all the big items by the end of Saturday morning. We actually had two pickups and a Uhaul packed by Saturday afternoon. 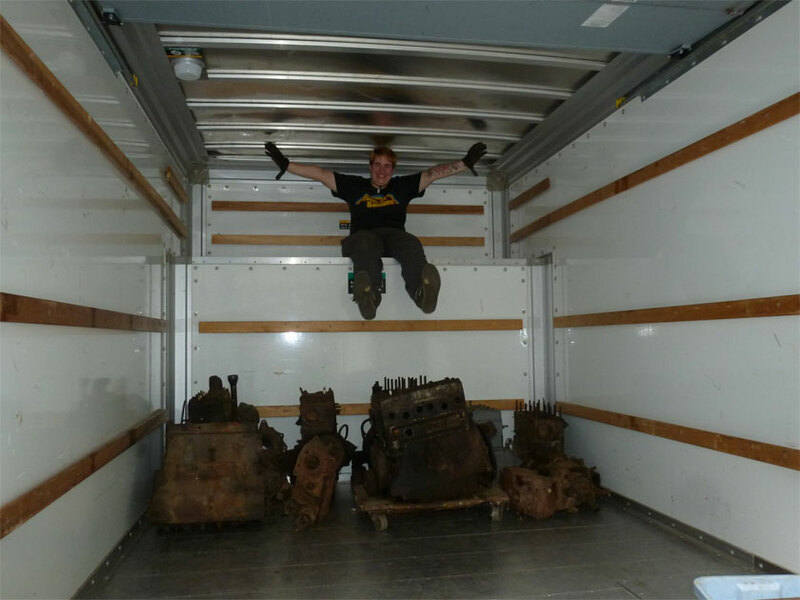 Below is a photo of Izzy celebrating the last of the engines being loaded in our rental truck. After a whirlwind weekend that involved hours on the road, loading trucks, unloading trucks and more, we are now sorting through the finds. It’s interesting how many more items begin to pop up as we sort through box after box. 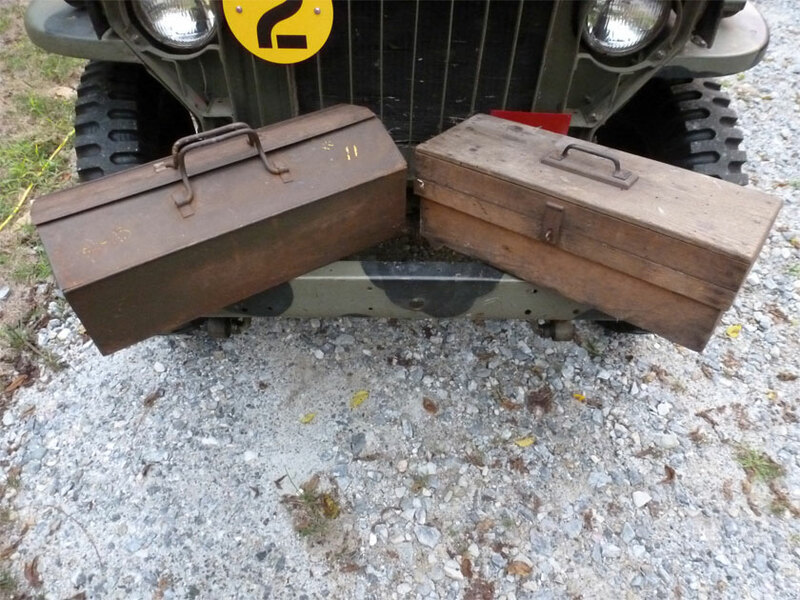 John Barton specialised in WW2 tools for Jeeps and we have made many finds in that area. 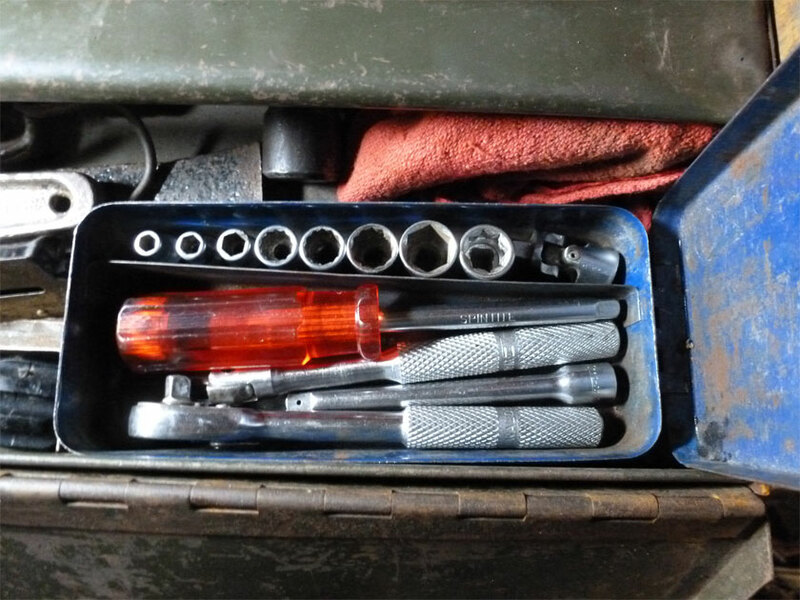 My friend, Pete, is still sorting wrenches. There are Vlchecks, Barcalos, Fairmounts, Williams and more. 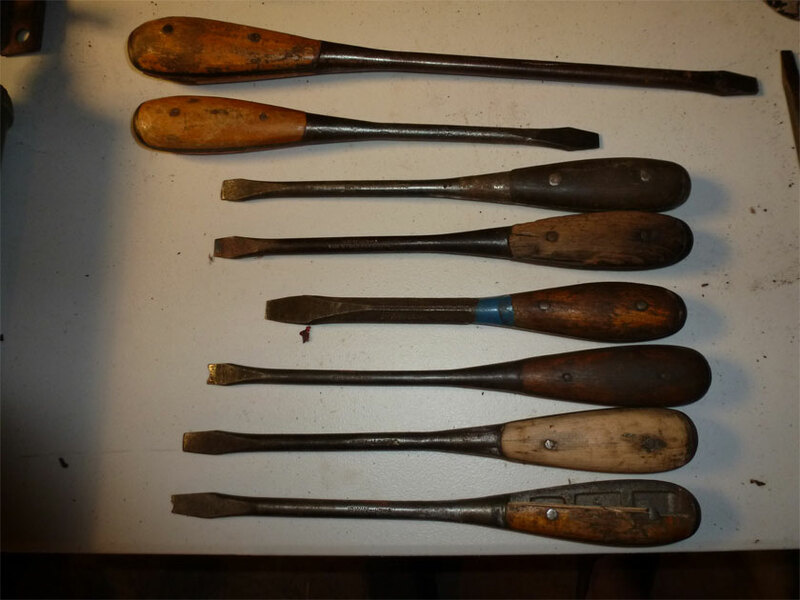 Initially we did not think we had any Irwin screwdrivers but after some sorting you can see what we found below. The top two have “Irwin” printed on the wood handles. The next two down have Irwin and Gov. Stock # 41-S-1076 on them. The rest say Irwin US of A. 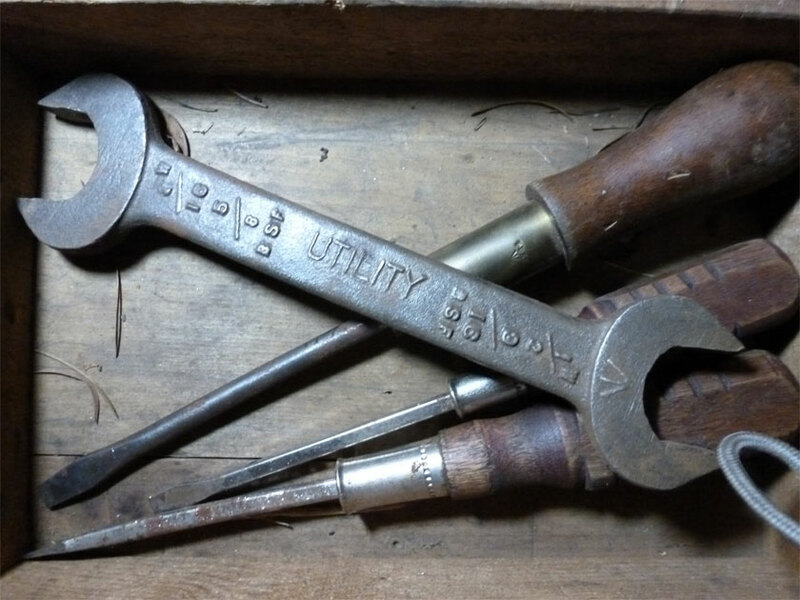 Need a screwdriver for your toolkit??? 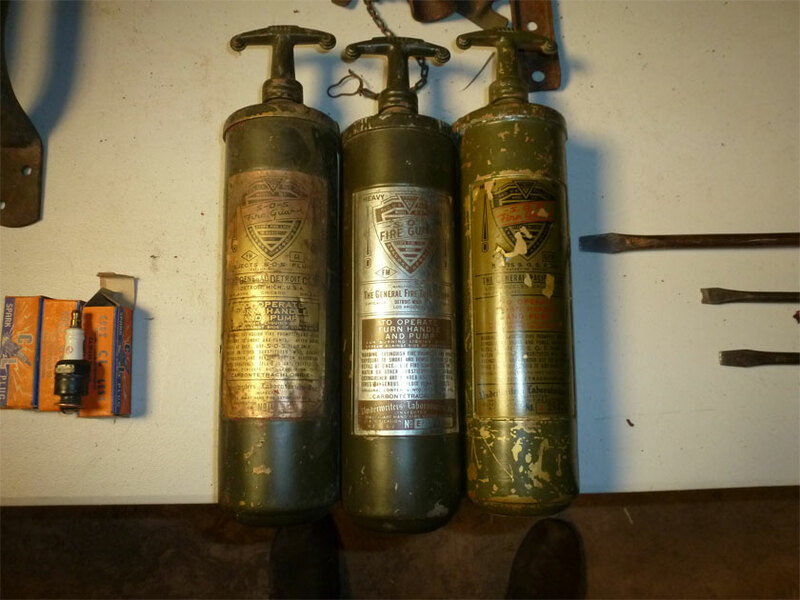 Next we have a trio of original, early fire extinguishers. Initially in our sorting we only found two restored green extinguishers. 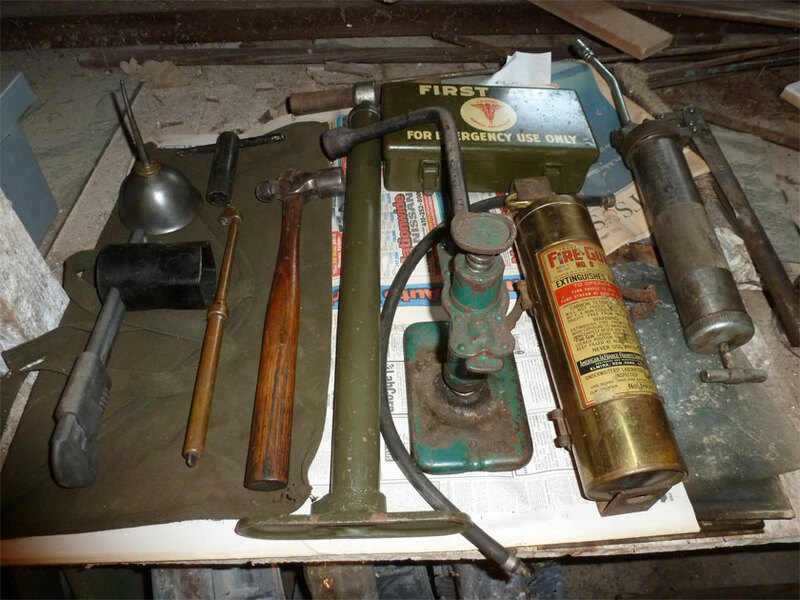 But some more exploration today yielded the items below. 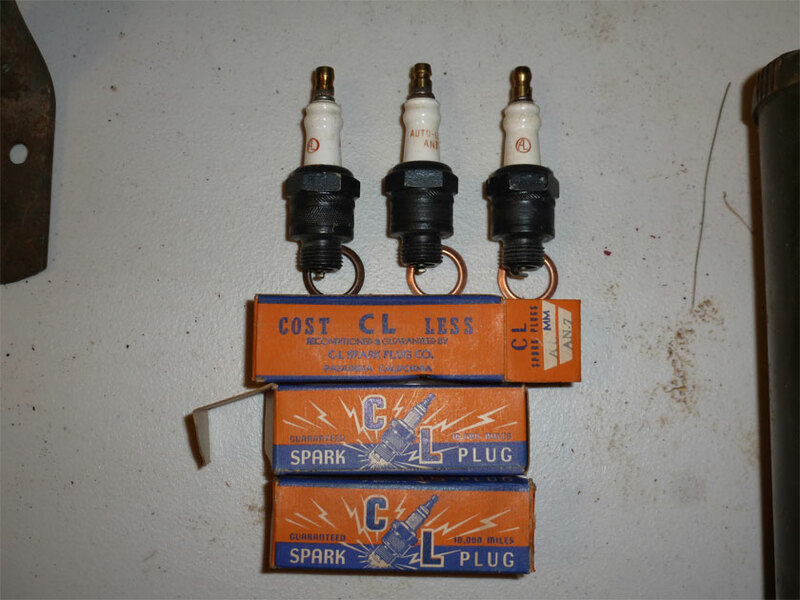 Amongst some smaller, very cool finds were these NOS sparkplugs. 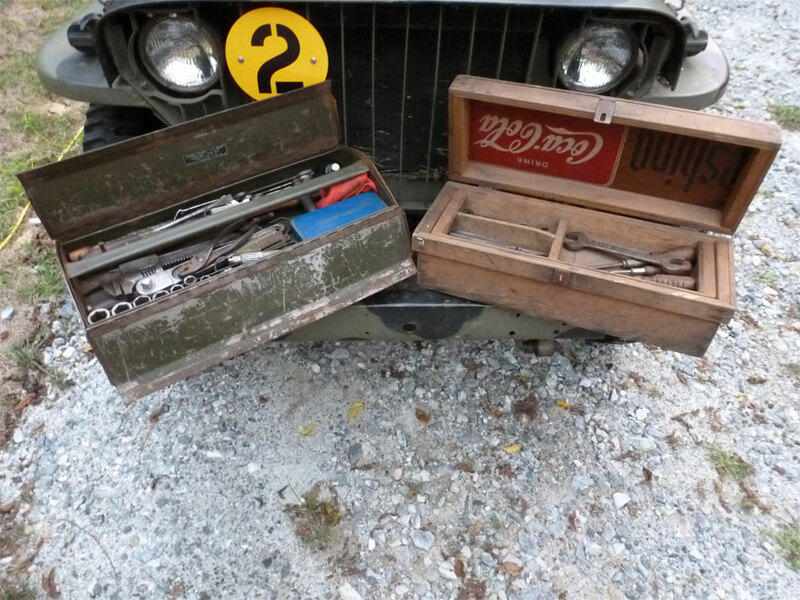 We are slowly putting together WW2 Jeep toolkits with original tools and canvas tool rolls. 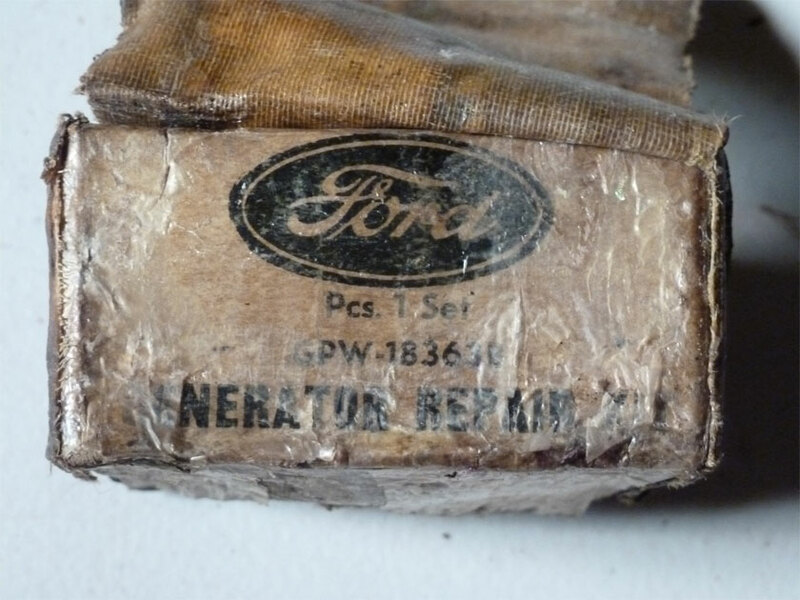 Another neat small find was this original Ford GPW generator repair kit. 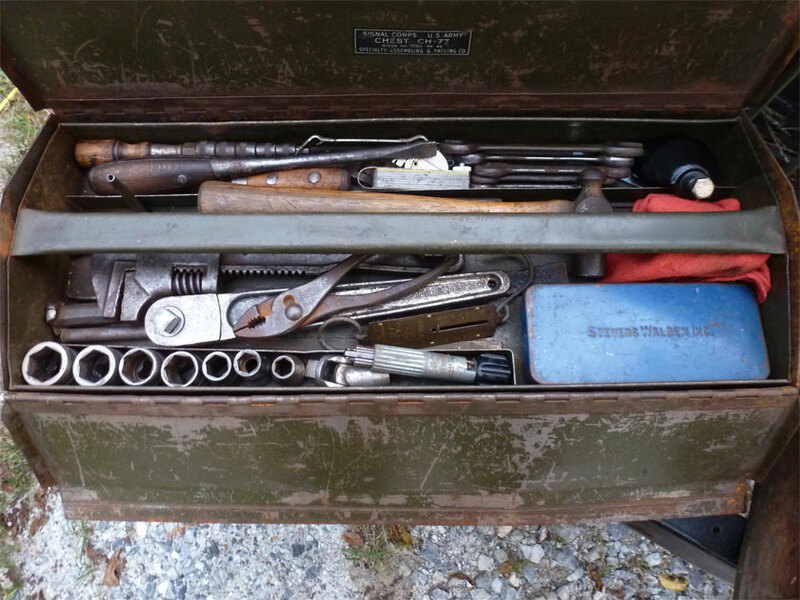 And there is still much more to sort, tools and parts of course! !